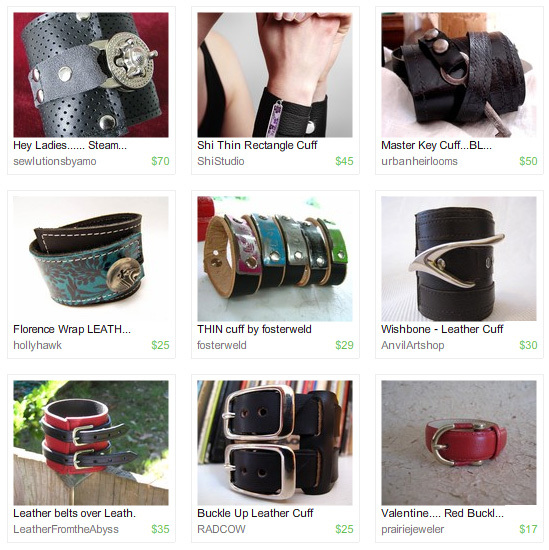 Each week I will feature a fashionable item in the blog. If you think yours could fit this style, please add a photo to the photo pool in flickr. If you are a new fashion designer, spotted a new trend, want to submit your own look, or need help with some new clothes you got, drop me a line! Ok... so headbands might not be in the sytlebook for this spring BUT! I just got a haircut and I can barely make a ponytail so... for the first time in my life (not including when I was a kid lol) I am going to wear a headband! 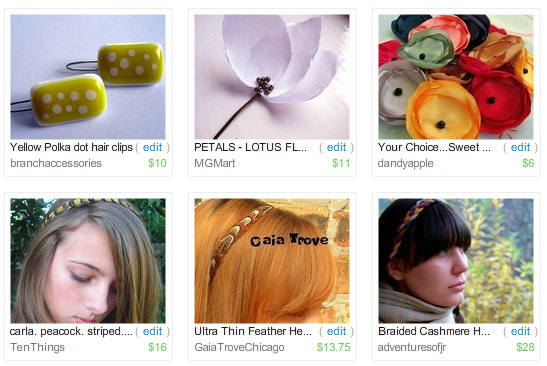 Of course, I don't have any, so I turned my head to Etsy to see if I could find any I liked. I am all for thin headbands that are not too obvious lol - no fascinators (at least not until I get used to wearing headbands). Headbands and hair pins, the things I am gonna need most these days (and probably for a long time cause I love this new haircut lol)! So... any recommendations for me? 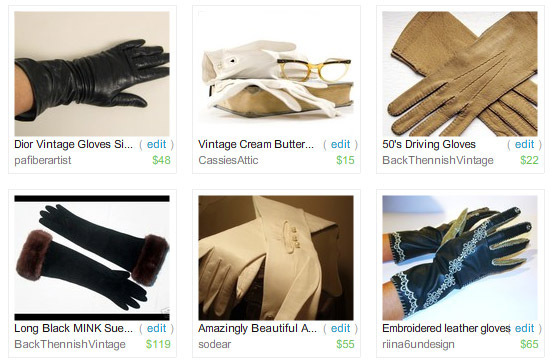 But not any kind of gloves... fetiche gloves are, as usual, leather gloves. This time, the extra long version with short sleeved tops, the more classic ones and the casual look ones, all of them are fashionable this season! I hope you like them! I haven't worn gloves all this winter, only once or twice lol Not beacuse it wasn't cold, but because I kept forgetting them!! 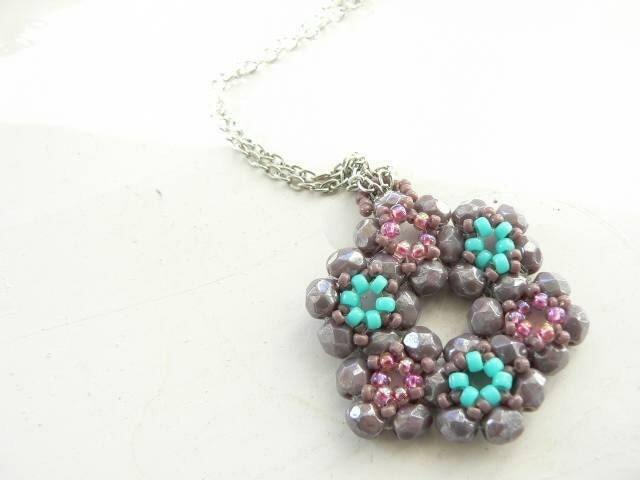 Monday Giveaway - Springtime Necklace! I love to see out of the ordinary beaded jewelry! =) Love this design. Really fresh. With this necklace you can feel like it's spring already. The pendant has all the beautiful colors of spring: mauve, turquoise, purple and light pink plus all the beads are in a flower shape. Very hippi-like, isn't it? I used perfect bohemian firepolished beads and japanese seed beads. The pendant is on a silver plated chain which closes with a heart shaped toggle clasp. Visit 6Carmen6' shop and pick a favourite item. Leave a comment in this post with your favourite item and a way to contact you (email or etsy link. Leave a contact or I won't be able to place you in the draft). I will select the winner from the comments with a random number generator. This giveaway ends 22nd March at midnight EST. Good luck! I have always loved to wear all kind of bracelets, specially cuffs. In fact, I have tons of them (ehem, and even more earrings!!) and love to wear them in spring & summer. But don't worry, you can also wear them in fall & winter. Just wear them over the sleeves of your turtle neck shirts. Fantastic look! Monday Giveaway - Winner's choice! 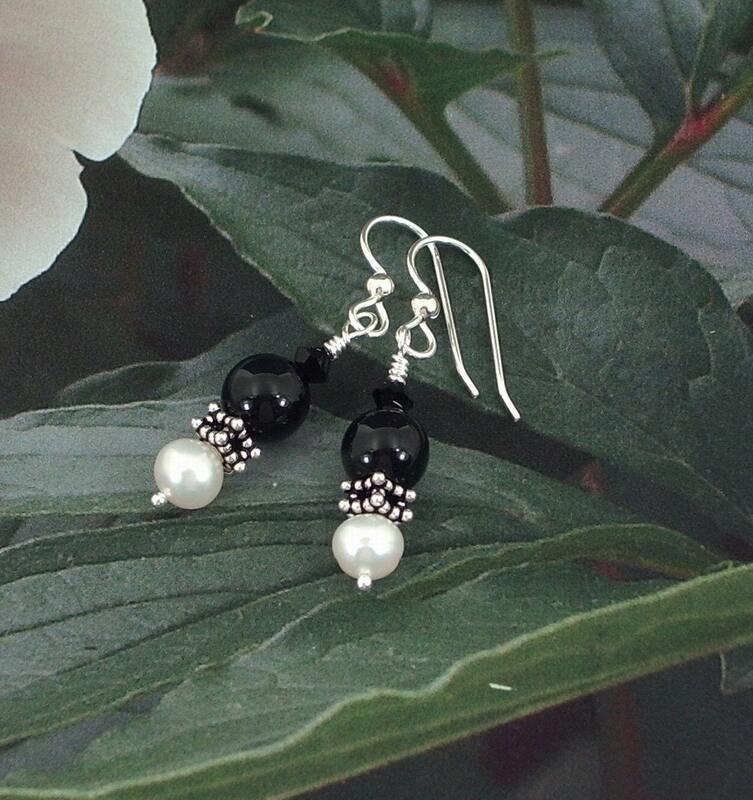 EarthsOpulence shop is full of fantstic earrings, necklaces and bracelets! The winner will get an item of his choice up to $20 from EarthsOpulence's shop. Visit EarthsOpulence' shop and pick a favourite item. This giveaway ends 15th March at midnight EST. Good luck! 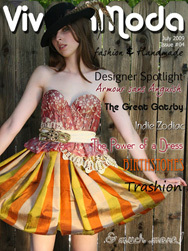 The new issue of VivaLaModa (the handmade fashion online zine) is out!!! This second issue has 88 pages full of goodies picked by 20 collaborators. Again, it focuses on handmade/vintage fashion and includes articles like Get the look of, decoration ideas, fashion trends, kids trends, makeup, tutorials, recipes and much much more!! 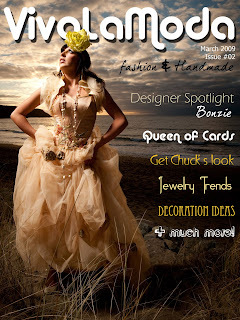 I specially love the designer spotlight (this issue the designer interviewed is Bonzie, also on the cover), get chuck's look (Chuck from Pushing daisies) and Queen of Cards (photoshoot made by Isis for the magazine with items from european etsy sellers). I really hope you like it! Don't forget to check the amazing collaborators and advertisers that made this magazine idea a real thing. So, do you like it? Any topic ideas for next issue? If you like it and want to know when the next one is out, subscribe! See a smaller version of the magazine here. Please visit the website to see the full version.